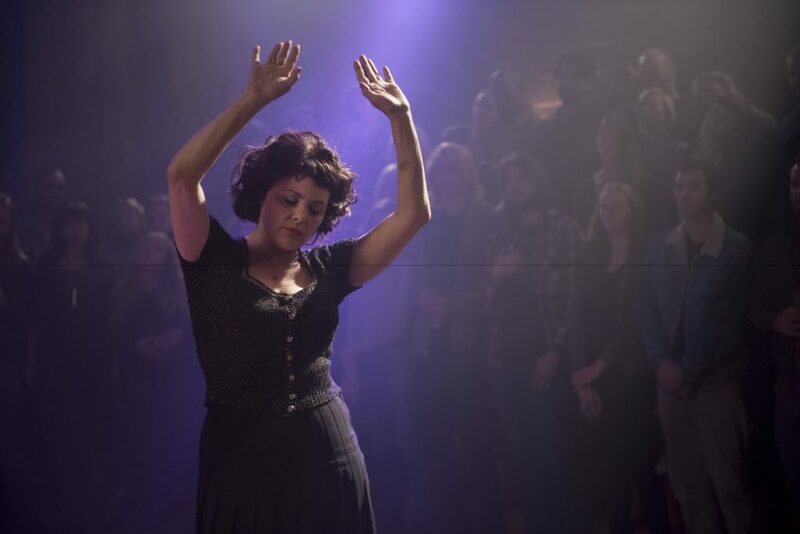 SHOWTIME’S REVIVAL OF TWIN PEAKS IS AN UNDOUBTED SUCCESS THAT EVOKES EVERY EMOTION. After sixteen hours of Twin Peak’s triumphant return to network television, it would not be an implausible feat to suggest that the best television season of all time is in our midst. After the complete eighteen hours, it is difficult to know what to think. This is the nature of David Lynch, notorious for open-ended mysteries and puzzling narratives, who alongside Mark Frost, changed the face of television back in 1990 when Twin Peaks first aired on ABC. In slyly comical fashion, Twin Peaks took the melodramatic, campy nature of the soap-operas and serial dramas surrounding it in the television schedule, to create something both familiar, and miles away from anything else that had ever been made. High-school romance set against FBI investigations, a quaint little town in Washington tormented by evil entities, dreams of a strange character known only as ‘Man from Another Place’ visit our protagonist at night, before he heads to the local diner for damn good coffee and cherry pie; audiences were bowled over by this concoction of melodrama, murder and surrealism, and were introduced to the idea that television could hold the same level of quality as cinema could (it was unprecedented for a world-renown film director to venture into the formulaic realm of TV). 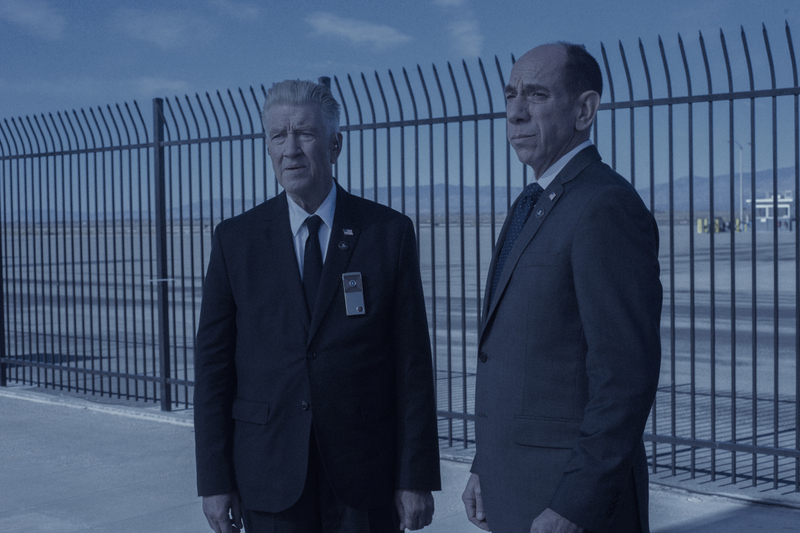 Over twenty-five years after revolutionising television, paving the way for modern hits such as Lost and Game of Thrones, Lynch wasn’t content with a nostalgic trip back to the town of Twin Peaks. Instead, he decided to revolutionise television once again. The original run achieved such heights by providing something that nobody could ever expect to see on television. Experimental camera work, genuinely upsetting and disturbing imagery and a cliffhanger never to be resolved. This time around, Lynch once again makes history, with scenes and structures no other artist would dare attempt. Unpredictability is key; who could have expected that within the same season, Kyle Maclachlan would arguably play five different characters, the ‘Man from Another Place’ would have evolved into a tree, David Bowie would be resurrected for his final role as a giant kettle, we would seemingly witness humanity causing the birth of pure evil… and watch a man sweeping the floor of a bar for nearly three minutes? This may all sound incoherent and random, but the end result is a tumultuous journey of joy, despair, fulfillment and great heartbreak that could waver in any direction, at any time. "Twin Peaks has a place waiting for it in the history books"
Throughout his filmography and in press interviews, it is clear that David Lynch is not a man that likes to reveal too much. Famously exempt from ever shining so much as a slither of insight into the meaning of his projects, undecipherable features such as Mulholland Drive and Inland Empire have gained widespread acclaim, but have also unsurprisingly frustrated and infuriated viewers who are still pulling their hair out, attempting to discover the secrets and answers locked tightly away. His films clearly intend to challenge audiences, and he may well enjoy the aghast responses his mysteries derive if The Return is anything to go by. While previously not an intentional element per se, Lynch clearly taunts and teases fans of Twin Peaks throughout this eighteen-hour film, knowing full well that he is the puppet master, and has his dedicated fan base hanging by strings. What could be seen as devilishly cruel, but is also twisted to great humorous effect, is the literal ‘return’ of Special Agent Dale Cooper (Kyle Maclachlan). Cooper, the show’s central protagonist, is one of television’s most beloved characters. Iconic and heroic, he won the hearts of America and beyond, as well as almost the entirety of Twin Peak’s residents, while investigating the murder of homecoming queen Laura Palmer (Sheryl Lee). So why was it cruel to bring Coop back to our screens after over two and a half decades? Because if twenty-five years wasn’t a long enough wait for lifelong Peaks fans, Lynch makes them wait another SIXTEEN HOURS! Rather than darting around, saving the day from the get-go, Cooper spends almost the whole season mostly unconscious, living the life of one Douglas Jones (Kyle Maclachlan), a manufactured doppelganger who acts like a newborn, barely able to speak, walk, or comprehend anything around him. If not bad enough, Lynch hilariously puts Dougie in situations where it looks as though Cooper will wake up imminently, only to still be Dougie several episodes later. Along with this, Lynch spends time setting up multiple sub plots with no intention of resolving them in any way, with characters never to be seen again despite being deep in the midst of drama. Perhaps Lynch setting up future seasons, but more likely just him mocking those upset by the lack of closure he tends to provide audiences. Around midway through ‘The Return’, Twin Peaks provides us with what is being called the most groundbreaking hour in television history. To begin with, Dale Cooper’s evil doppelganger (once again Kyle Maclachlan), who was the subject of season two’s cliffhanger ending twenty-five years ago, is shot, ravaged by ghostly woodsmen, and then resurrected following a suitable, impromptu performance from Nine Inch Nails. The episode then descends into delirious terror. 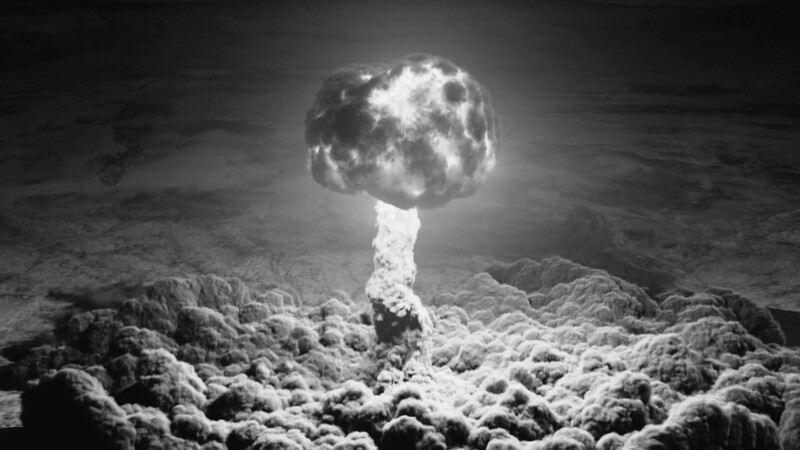 The show’s endearing D.I.Y special effects up to this point, are forgotten about as a black-and-white flashback shows a beautiful and terrifying visualization of the Trinity bomb’s detonation, the first nuclear explosive ever to be tested, over in New Mexico. Slowly zooming toward the mushroom cloud, underscored by intense, panicky composition ‘Threnody to the Victims of Hiroshima’ by Krzysztof Penderecki, chaos erupts as the cloud envelops the camera, and frenetic shapes, colors, and patterns are reminiscent of the similar sequence in Kubrick’s 2001. We witness a supernatural black figure suspended in darkness, who previously mutilated two character’s in the first episode and who we now know could well be the entity known as ‘Judy’, now residing within Sarah Palmer (Grace Zabriskie), Laura Palmer’s mother. ‘Judy’ regurgitates a stream of what looks like black tar along with an orb containing evil spirit BOB, who was revealed to have killed Laura Palmer in the original run. This shot is drenched in dread and is also extremely meaningful. 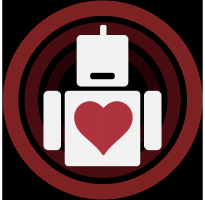 A popular interpretation of the being known as BOB, derived from a quote by Agent Albert Rosenfeld (Michael Ferrer), is that he is symbolic for “the evil that men do”, so it is, therefore, fitting that his inception comes from an outrageously evil and destructive act caused by man. The episode continues in black and white, showing a strange frog-moth creature entering a sleeping girl’s mouth, a woodsman reciting a poem that appears to knock anyone who hears it unconscious, and a golden orb containing the face of Laura Palmer herself. Bewildering, breathtaking, and very scary, this hour of television undoubtedly has a place waiting for it in the history books. It may all sound like doom and gloom, but Twin Peaks: The Return also acts as an exceptional comedy, through its wacky new characters and Lynch’s character himself, reprising the role of FBI Director Gordon Cole. 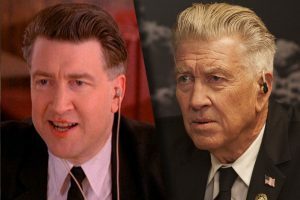 I’m sure he’d be the first to admit that he’s no world-class actor, but his overly pronounced delivery, difficulty hearing, and lengthy pauses all provide a vehicle for Lynch to show off his unique but brilliant sense of dry, subtle humor. Alongside him is Special Agent Albert Rosenfeld (played by the late, great Michael Ferrer, who sadly passed away shortly after filming) whose sarcastic tone that made him a fan favourite in the original series is still ever present, and the pair form a double-act full of witty but subdued back-and-forth banter, and the kind of unspoken understanding and connection that two colleagues may have after decades together, making for amusing scenes that are distinctly memorable despite being sparse on dialogue. Elsewhere, another scene-stealing comedy duo surface in the form of the brilliant Mitchum brothers (Robert Knepper & Jim Belushi), a pair of casino owners who have astounding chemistry and react to extraordinary events by finding ways to rationalise them and subdue the shock any normal person would have, at one point witnessing a van being bombarded with bullets, and claiming this is because “people are under a lot of stress”. 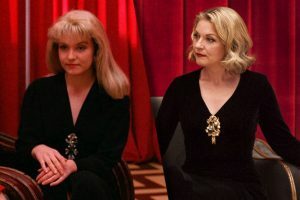 And despite Lynch’s intentions to bring Twin Peaks into new territory and avoid it being one big nostalgia trip, fans of the original show will not be disappointed, and there are many rewarding moments and arcs that re-introduce fan favorite characters in interesting ways, many of whom are integral to the central plot. 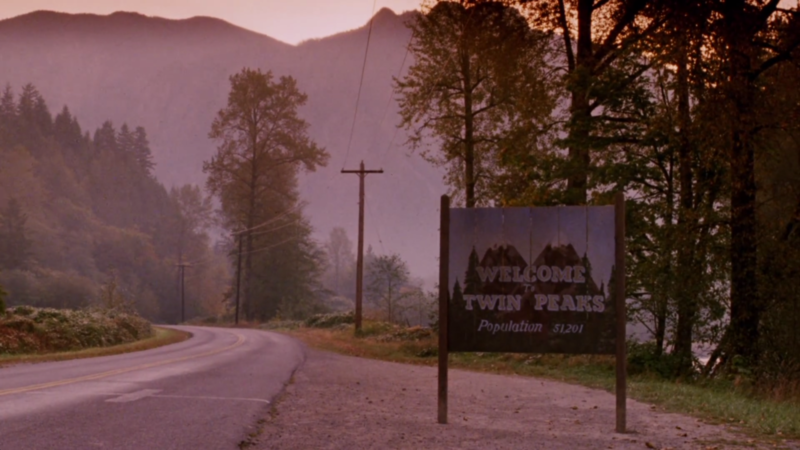 Some of the most memorable moments in the season are the deeply nostalgic ones, that are reminiscent of the emotional highs in seasons one and two, with Angelo Badalamenti’s sweeping score often accompanying them. Bad boy Bobby Briggs (Dana Ashbrook), now working for the Twin Peaks Sheriff Department, sheds a tear upon seeing a photo of ex-girlfriend Laura Palmer. Big Ed Hurley (Everett McGill) and Norma Jennings (Peggy Lipton) finally get together after so long. James Hurley performs the Lynch penned ‘Just You’ that he sang back in season two. Cooper’s assistant Diane (Laura Dern) is finally seen on screen. 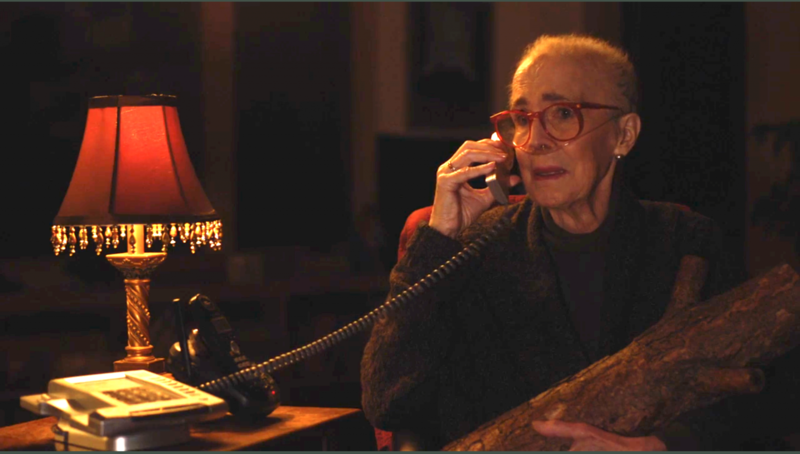 And the Log Lady passes away in easily the show’s most upsetting scene, considering actress Catherine E. Coulson was dying in reality while filming the sequence, giving the impression that her words on the character’s impending death were actually in line with her own feelings of fear and acceptance of the end. If episode 8 was the most groundbreaking episode in the history of television, episode 16 could well be the best. An hour-long emotional rollercoaster, the episode consists of four strands set in different locations. Outside Dougie and his family’s house in Las Vegas, a hilarious Tarantino/Coen Brothers style shootout ensues (perhaps Lynch criticising Tarantino as he supposedly has done before, since two of the scenes key players are The Hateful Eight stars, Jennifer Jason Leigh & Tim Roth), which lulls us into a false sense of security before a tidal wave of ecstatic highs and tense, chilling lows. 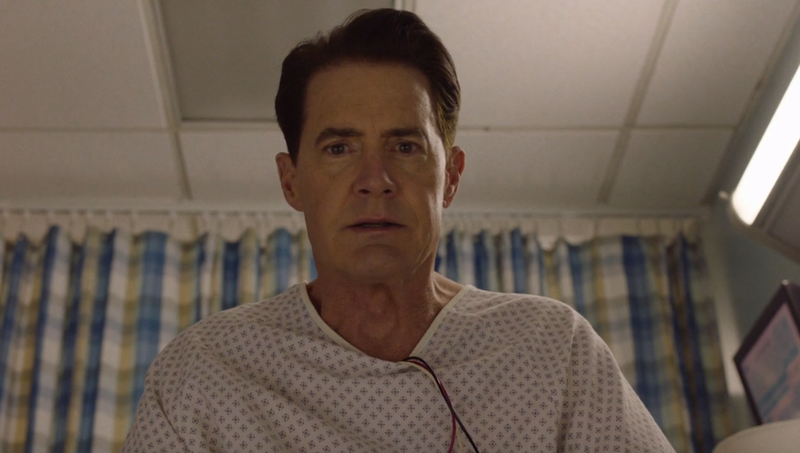 Next up, a comatose Dougie awakens as Agent Dale Cooper, finally back to his old self. Maclachlan slips back into his character as though no time at all has passed. Gleeful and joyous, it is difficult to watch the scene without being overcome with excitement, after weeks and weeks of build up to this moment. As he leaves the hospital and says his now iconic line (“What about the FBI?” “I am the FBI”), the soaring theme music climaxes to ensure the moment is one that after a twenty-five year wait, will delight viewers and overwhelm them with emotion. But this emotional peak is abruptly disrupted as Diane receives a disturbing text, and then what follows is a deeply disconcerting and intense scene that completely juxtaposes the one before it. And to end the episode, a scene that again constructs a euphoric and beautiful moment, with Audrey slow-dancing to her trademark song (titled ‘Audrey’s Dance’ in the original soundtrack), and then shatters it in seconds as electrical buzzing reveals that Audrey is actually in a dream state, and is staring into a mirror in a white room. "Twin Peaks: The Return is an unforgettable journey that has no clear destination, Its strength is that even when not everything makes sense, Lynch's work hits on an emotional, gut level"
And then there’s the two-part finale, that very much feels like a separate entity, disregarding much of the season’s chain of events in favor of a new, incoherent, mesmerizing adventure through different realities. 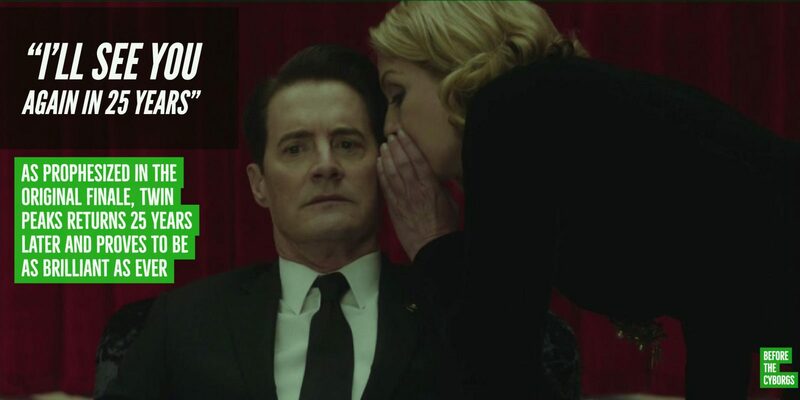 So many questions remain unanswered, and instead the show bows out in an unsettling realm where Laura Palmer is a woman called Carrie Page, her family home is now inhabited by strangers, and the only constant seems to be the presence of Agent Cooper, although even he seems not quite the same as the Coop we know and love. Ending on the piercing scream of Carrie Page as memories of Twin Peaks flood back to her, it is unlikely we will ever find a definitive solution as to what on earth actually happened in the finale. Huge quantities of varied theories are already flooding the internet, some more plausible than others, but Lynch has left the show at a point that will lead to years and years of detective work and theorizing on behalf of the fan community, in regard to this brutally unsatisfying conclusion. 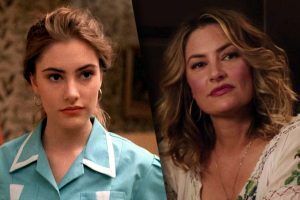 Stepping back from its bizarre, wondrous nature and evaluating Twin Peaks as a television show, there are several world-class performances throughout, which is not surprising when considering that some of the best actors in the world are featured. 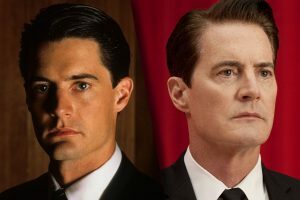 Kyle Maclachlan is truly remarkable, depicting evil doppelganger Mr.C in such a nuanced fashion that it is easy to forget that this is the same person who has been on screen the whole time as Dale Cooper. 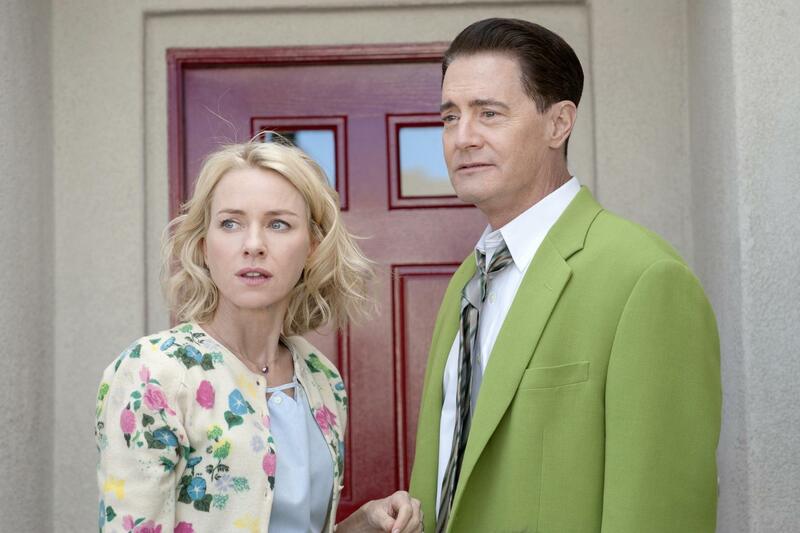 The two characters are so distinctly different, and also so excellently imagined, that Maclachlan is a sure frontrunner for an award at the Emmy’s. Alongside him are two of America’s best working actresses, Laura Dern and Naomi Watts, who are both regular Lynch contributors that he clearly knows how to get the best out of, and Laura Palmer herself, Sheryl Lee, who is still just as good as she was back when she played the lead in 1992’s Twin Peaks: Fire Walk With Me. The cast is rounded out with a variety of great talent including Michael Cera, Amanda Seyfried, Robert Forster, Balthazar Getty, Harry Dean Stanton, and the returning Grace Zabriskie, who shines as a seemingly possessed and positively creepy Sarah Palmer. The Post is entertaining and thought-provoking but one has to wonder if it leans too heavily on its not so subtle political message.